Urgh. Am feeling somewhat sorry for myself this morning. After assuring The Trucker that I don't get sick last Wednesday (when he was at the doc getting flu meds), it turns out I may be wrong :P My stupid left lymph node, throat gland or whatever it is is so so sore :( it has been since Saturday. I'm trying to maintain that I'm not, in fact, sick, since I have no other symptoms ... other than the pain when I swallow or cough :( I did have a panic-ed thought this morning that it could be a tonsil? But I don't even know what a tonsil is?!? (Although I do definitely have both of mine still). Thursday evening I spent home and then on Friday night I went for after work drinks at Rocket with some of the girls to catch up. Since the merger we hardly see each other anymore, very sad. And then The Trucker & I went to get take-out Col'Cacchio pizza (yum!) and a dvd. Although we ended up skipping the dvd since we couldn't find one we wanted to watch and spent the evening watching series instead. On Saturday morning we had breakfast at Doppio and then I headed off to do some much needed Winter shopping. Got a couple of new jerseys :) But am far from done (it's time for new Jeans again I think ... but I am terribly fussy)! 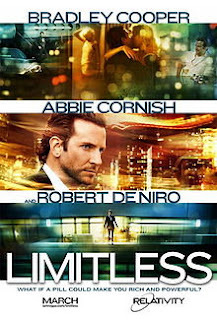 On Saturday evening we went to watch Limitless. 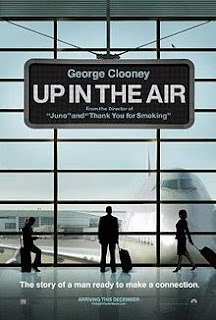 I enjoyed it, it is occasionally predictable, but still quite fun to watch. On Sunday we headed to Rosebank for breakfast at Europa and then to the Rooftop Market because I wanted to get the last frames for my photo wall (tick!). After that we spent the rest of the afternoon watching series and going for a walk (not sure if exercise is smart in my semi-sick state but oh well) and then we watched Up in the Air. It's a pretty cool movie :) The Trucker has already seen it so I was trying to see how much of it I could predict - haha. He kept a straight face but I got a lot right. Sigh, these cold winter evenings are only good for curling up in front of the TV under a blanket! I am definitely missing having a bathtub in my place again :( Sob. And the dark mornings of getting up early for work ... I dunno how I'm gonna make it till 21 June!